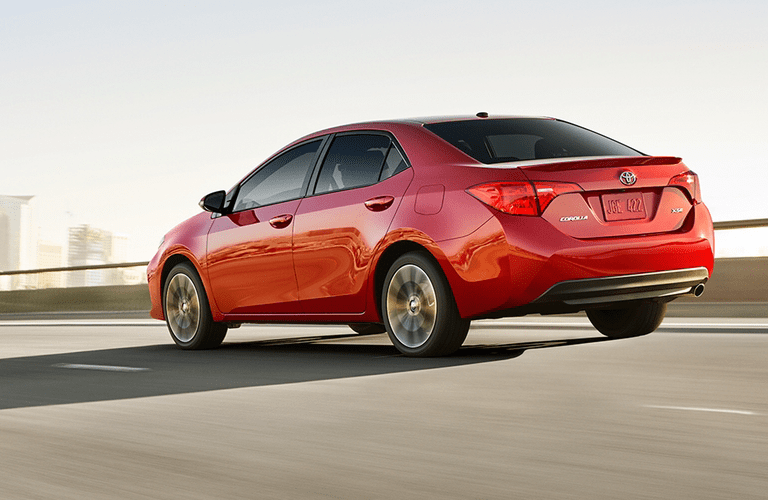 The 2018 Toyota Corolla and 2018 Nissan Sentra are both great options for drivers looking to purchase a reliable-yet-affordable sedan. Comparing the 2018 Toyota Corolla vs the 2018 Nissan Sentra is no easy task, but there are enough differences between the two that are worth pointing out and examining. Both sedans are available in six trim levels: L, LE, LE Eco, SE, XSE and XLE for the 2018 Corolla and S, SV, SR, SR Turbo, Nismo and SL for the 2018 Sentra. The base engine of the 2018 Corolla, a four-cylinder, 1.8-liter engine, produces 132 horsepower and 128 pound-feet of torque. The 2018 Sentra’s standard engine is a weaker four-cylinder, 1.8-liter engine with 124 horsepower and 125 pound-feet of torque. Another notable difference between the two sedans is their central display screens. By default, the 2018 Corolla’s screen is 6.1 inches, larger than the 2018 Sentra’s 5-inch display. 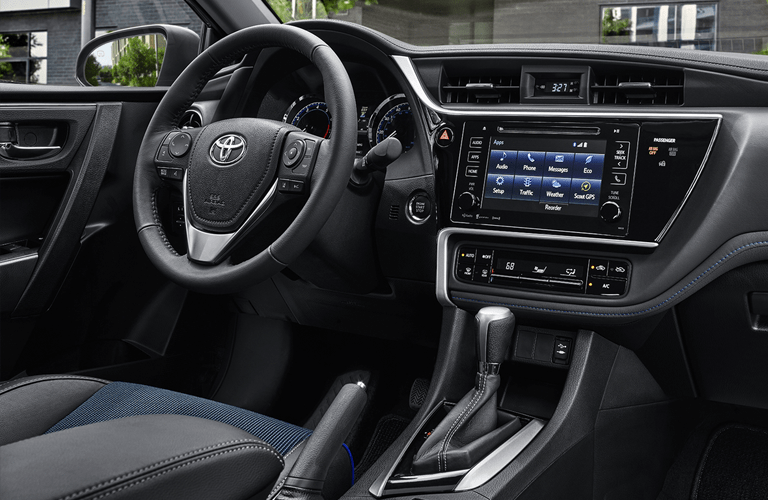 This difference persists through higher trim levels as well, with the 2018 Corolla’s maximum display size being 7 inches compared to the 2018 Sentra’s largest, 5.8-inch, display. 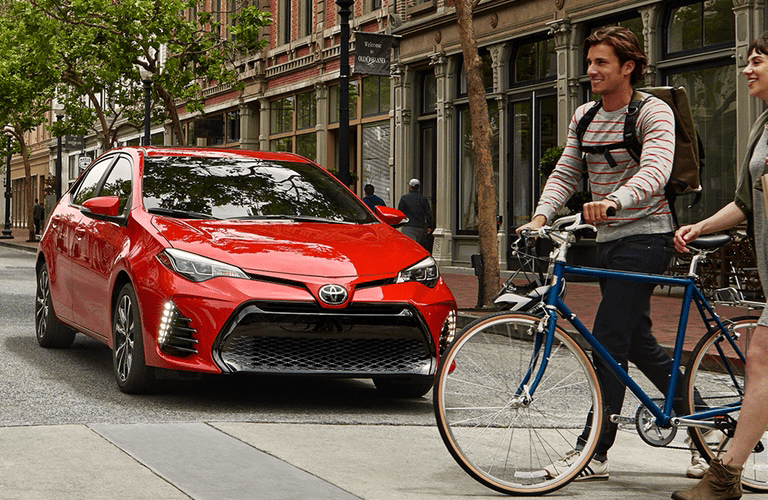 Drivers can expect to find an abundance of standard and optional features in the 2018 Toyota Corolla. Standard features include adaptive cruise control, Bluetooth and USB connectivity, an audio system with six speakers, a CD player and a rearview camera. Optional features include keyless entry and ignition, a sunroof, SofTex upholstery, heated seating and a navigation system. 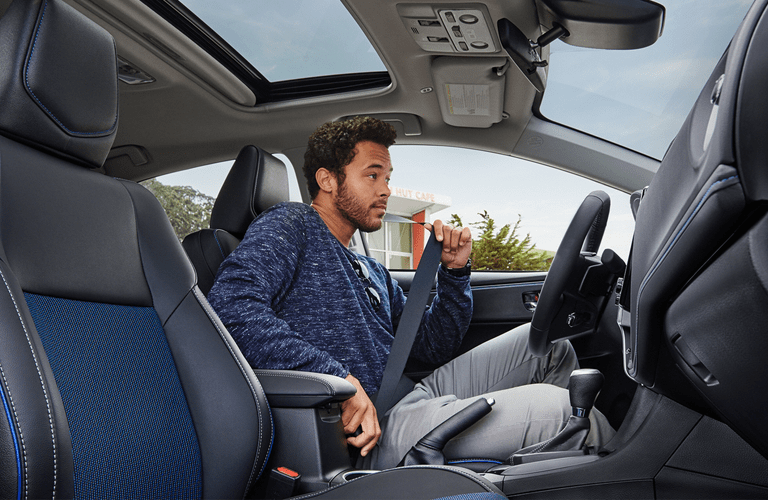 2018 Toyota Corolla safety features include: Rear door child safety locks, an engine immobilizer, daytime running lights, child seat anchors, a lane departure warning accident avoidance system, stability control, traction control, emergency braking assist, tire pressure monitoring and a pre-collision safety system.